This Beautiful Home offers a Bright & Open Concept Design that Features, Stone Fireplace, Skylights, Vaulted Ceilings, Towering Windows offering Amazing Views of Sunsets & Sunrises and the 10th Fairway of the Speargrass Golf Course. The Beautiful great room features a grand stone fireplace in the Heart of the Home, vaulted ceilings & floor to ceiling windows to allow lots of natural light in. Spacious kitchen w/granite counter tops, large island, adjoining dining room, 2 skylights and patio doors lending onto the upper back deck. Master w/private patio doors to access the deck, 5 pc ensuite w/2 sinks, shower & soaker tub & large walk-in closet. Office w/french doors, spacious mud room & laundry area. The bright lower level walkout features a generous family room & rec area, 2 bedrooms, 4p bath, utility & storage room. 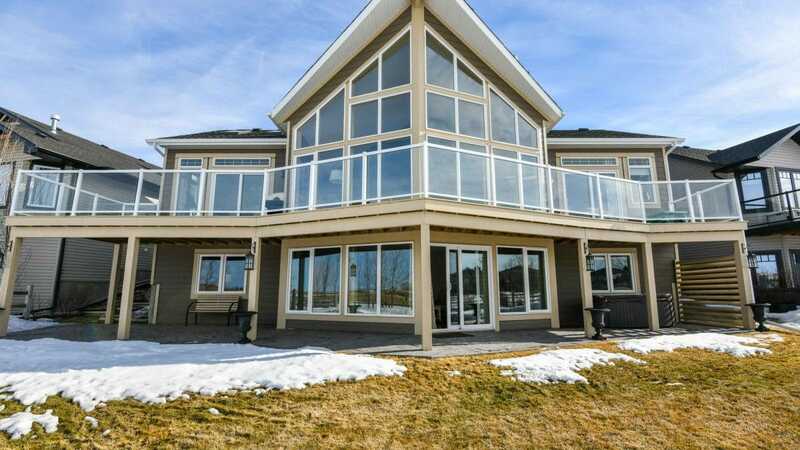 This home has beautiful curb appeal, nicely landscaped yard and backs onto the Speargrass Golf Course and only steps away from the Bow. Come & Experience Speargrass Lifestyle Here!